Social Denter: Happy Birthday Facebook!!! Mark Elliot Zuckerberg never knew he was going to be a millionare at the age of just 23. Even when he launched facebook from his dormitory room, he never had an idea what ripples it was going to create in the social media networking world, and facebook did it. It toppled up the Orkat, and all other social media platforms, finally ended up in the end of Google backed dominence in social media. 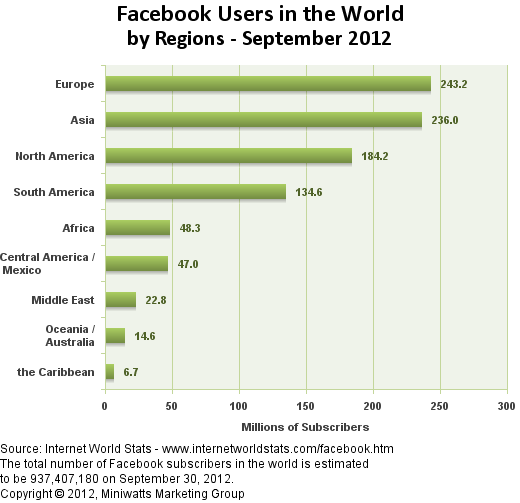 According to latest facebook statistics available, Europe is leading in the facebook subscribers, Asia going second with a very less margin. It has become the most visited page on the internet and left google far behind here. And has achieved all the milestones Mark Zuckberg never knew or expected. It has turned into a culture, a life style, passion and much more. Today is the 7th birthday of facebook. I congratulate Zuckberg and all his team on achieving all such goals. They have moved the masses. This can be termed as a perfect success story full of adventures, hardships, self determination,opinion controlling, creation of concept of social space and much more. The ideas are the crucks, and facebook story is the perfect example of how one turns his idea into practicality and fnally success comes in the way. 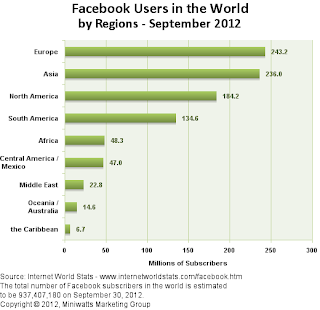 Currently Pakistan is 28th on the facebook users table. It has been most popular trend in the youth of Pakistan. Everyone seems facebook addict. If it is kept as a hobby within the prescribed limits of social networking, its something positive. But we have moved it a bit up. Here I want to quote an incident which I came across few days before when we were in Sialkot Saddar bazar. I saw a young lad of just 8 yrs fighting with his elder brother at the shop. The thing which had moved this innocent mind was facebook account. The young lad had the demand of getting a facebook account and finally his elder brother had to signup for a new facebook account on behalf of his younger brother. Guys! I have been unable to build any relation between the positivities and negativities of using facebook and being addicted to it. So I leave it to you. But onething I would mention i.e. just give a thought when you enter the second hour of using facebook in a single go and think if you could spend this time in something positive which could pay you in any way. Once again Happy birthday facebook. Keep buzzing and keep rocking. Best wishes for you. Yes, you are right! We are missing out many things because of our unlimited fb hours.